It is important that you recognize the complete template that holds the 5th-dimensional consciousness in play in your physical world. You have received many messages regarding one of these templates, the template of Love. Some knowledge of the element of Love is the beginning step that you must take so that you can enter into the beginning stages of 5th-dimensional consciousness. 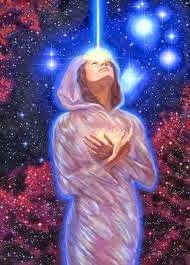 It was the focus of the Teachers of Light to gently lead you through the gateway of the 5th dimension by using and conveying the element of Love. Now is the time for us to express to you some of the aspects of unity consciousness. First, you must understand that unity consciousness does not mean that all humans are alike. Each one of you came into embodiment to express your divine individuality. You were created at a soul level to express your uniqueness through the many divine gifts that were impregnated into your individual soul at a core level. These gifts are unique to you as the individual. They are to be used to create in the realms of form as the divine creator that you are. At the time of your creation, you were capable of maintaining a state of consciousness as a distinctive individual as well as being one with a massive Divine Collective Consciousness. It is through this thread that all operate in a unified field of consciousness. When the Earth and humanity fell in consciousness, your ability to maintain these dual states of consciousness were compromised because of the density of certain dimensions. Denser dimensions restrict your knowledge of self and your ability to access all of the memory codes that are part of your energetic makeup. You are now climbing the ladder into refined states of consciousness so that you can recover your true state of being. The first step in this ascension ladder is the 5th dimension. You began by learning about the element of Love. The element of Love is a massive creative element. It moves through your emotional body and affects it deeply. It facilitates you to be aware of a state of love and appreciation for what Source created in you, both as a collective consciousness as well as an individual. This first step shows you that you are always united in with that Divinity of The All That Is. This step impregnates you with a memory that you were created in great love. As an individual, you can never be separate from the creative element of love because you were created with that element. The beginning memory of your unity consciousness establishes itself through the Element of Love. All humans are the greater aspect of their individuality through the element of Love. The element of Love allows an individual human to remember that every soul vibrates in the same unity of the collective consciousness of the Divine. This one opening in the memory codes enables you to know that no matter what the personality of the individual is projecting, even if it is negative, that you are still one through that Divine thread of consciousness. An individual’s thought and emotion that they are currently using are not yours. Nor do they reflect in any way your thoughts or emotions. Your thoughts and emotions reflect that part of you that is replicating your state of consciousness as the individual. Sometimes, that image was tarnished by the denser dimensions through which you traveled. Those blemishes never fully reflect your true nature. These projections are not an accurate image of the one towards whom those thoughts or emotions are directed. They are only images of fallen patterns or wounds that you absorbed from denser dimensional environments that the soul was exposed to after humanity fell from perfect consciousness. When you can stay conscious of this truth, it will be easy for you to forgive that momentary infraction in yourself or in another. You can come back to the center of your Sacred Heart, take a deep breath and re-center your energy through the element of Love. Then you begin to exhibit your true nature as both the divine individual creator as well as the collective consciousness of the All That Is. Forgiveness and love always change any projection. There is no need to judge it good or bad; right or wrong. You see it accurately without putting ownership on any part of it. When you do not own a projection, this alleviates the creation of negative patterns and wounds. When there is no judgment, you are not tempted to take in the projection of a mental/emotional fragmentation and claim ownership of it. There is no blame of others for any personal anomaly. As you apply these concepts to your daily life experience, notice how much easier it is for you to love your life. Notice how you can easily navigate through trying situations that would formerly keep you off balance for days. Even in times when you miss the mark after the emotions calm, you can move on quickly to restore your center of peace. Each day becomes a learning experience that shows you more and more of your divinity and your unity with all humans who are traveling a similar but unique path of transformation. When you are consistently aware that dimensional frequencies that can throw you off balance and out of unity consciousness or they can push you further into the 5th-dimensional state of consciousness, you will be able to cultivate the presence of refined dimensional vibrations in your body and in your consciousness. Awareness always shows you the best of choices. If you have chosen poorly, choose again. Unlimited choice is the beauty of being in the 5th dimension. Any situation can be instantly changed simply by choosing a better option. Choice is your right as a divine creator. Never forget this. Continue to develop your 5th-dimensional state of consciousness so that any memory of the 3rd-dimensional state of being is a barely recognizable apparition. The next five years of Earth time will be years of significant change. Mother Earth has been cleansing the environment of many unseen anomalies that were created since the fall of consciousness. These fallen imprints are host to much of man’s creation from a 3rd-dimensional state of consciousness. As humans created from fear and separation, the Earth has held these foundational imprints stably so humans could continue to exist and continue to create a life experience in the 3rd-dimensional frequencies. This concept is not to be judged as good or bad. It is information to help all who are embodied to see clearly and begin to embrace their beginning awakening. Humans are not victims of these fallen experiences but creators of them. More individuals who are incarnating on Earth at this time are awake and see the need for change. They stir up change to so that it is fully visible in living color. Others who lived lives for some time are weary of these painful and challenging experiences that they have known. Many decided that they were no longer willing to be the victims of their circumstance. They made changes in their thinking and in the way they chose to use their emotions. They have stirred the pot and said no more. We can change these ingrained ideas and create a different world. Some may speak up, write letters, or march against old patterned dualities that no longer serve the greater good. Others choose a different path. They are more verbally silent in their expression. They choose to open their hearts with compassion as they create and exemplify love in their life. They transmit a tranquil calmness to all whom they meet. Because they have cultivated a state of conscious awareness within themselves, they see the importance as well as the value of having an open heart to themselves. They know they were created in perfect love. But because of the denseness of Earth’s 3rd-dimensional environment, they could not see the beauty that lies within them. When humans awaken, this love is very evident. Their life changes because they search out the path that provides a transformation they couldn’t see before. Each individual is unique in this transformational path. They get to choose. They get to be the expression of an enlightened being who holds the Light, Love and infinite possibilities for creation until all can see it for themselves. No two are alike but are equally as valuable. There is no violence provoked or used in a transformation from the 3rd dimension to 5th dimension. When there is a polarized judgment, 3rd dimension is then easily maintained because the fallen human ego takes charge. The emotions follow suit and create fear, feelings of victimization, and a flight or fight impulse that is easily played out. Judgment always separates, defines another as either good or bad, or blames another for their circumstances. There is always a choice in any decision or course of action. When choices are made in unconsciousness, ignorance or lack of wisdom and immaturity, events often happen that seem to show the participant that they are a victim. Only when one is awake and conscious can they create a life experience that is a reflection of their true self as a being who was created in Love and can exhibit love in their expression. This pattern cannot be changed overnight. It takes time, experience and continual awareness to alter such dense patterns. Forgiveness is the first step in creating a modification in any ego-driven creation. Forgiveness starts with the individual. Forgiving the error, clearly seeing what anomalies are within the event. Seeing the various anomalies within a situation gives the creator information on specifics that they must pay attention to as they create again under such circumstances. Self-judgment only hinders or completely stops the transformational process. Self-judgment is so detrimental to the soul’s expression that it keeps the victimization alive. It limits the individual from seeing the beauty of their reflection as an effective creator. Self-judgment limits one’s ability to generate any change in old patterning. Forgiveness is so misunderstood in a human’s 3rd-dimensional consciousness. Forgiveness does not mean that the event or action was acceptable. It only means a change is needed so the event is not replicated or reproduced in any way. It shows creators how to be precise in their creations. Forgiveness comes from compassion. Compassion is an aspect of the element of Love. 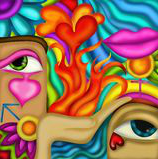 The element of Love is a 5th-dimensional creative element. It has power because it drives the change or creation precisely. It is a 5th-dimensional light frequency that establishes love and unity consciousness. An individual can only forgive themselves for an error or miscreation when they see it from a 5th-dimensional perspective. No judgment is created through their fallen ego. Ego often tells one that they were a victim or encourages one to blame another for an error. Sometimes the choice of a miscreation was made unconsciously. Forgiveness of self without judgment has a most beautiful outcome. Forgiveness compassionately disconnects an individual energetically from the event. This eliminates the continual processing of the event by the rational mind. A state of neutrality establisheS itself, and the higher conscious mind takes charge. When an individual can cultivate this state of forgiveness in themselves, they can then begin to apply it to those outside events that seem to happen daily now as the massive clearing is taking place. What is your responsibility is such events? Understand it is not your duty to completely alter the error. You must hold a state of compassion for those involved in the miscreation without blaming one or the other. It is your responsibility to stay neutral and exhibit quiet love-based energy. Voice your opinion when it would benefit others. Speak or write your opinion only when it is based on understanding and compassion. Then do so only if you can do so from a neutral position. It may take a while for you to process within yourself first, especially if it has triggered you emotionally. Being reactive in such instances is not helpful. Apply the concepts that we have just discussed with you in regards to self-judgment, forgiveness and compassion. Establishing a neutral ground from which you can voice or write an opinion, is a primary consideration you must make first. Understand when you take action from this platform, you will be helpful. You will transmit the creative energies that provide some relief in the minds, emotions and bodies of the participants in their errors. Through the love and harmony that you hold within your energetic field, you can transmit that to others and help them to see things from a clearer perspective. Perhaps, they can then choose a path for a correction that they know how to generate instantaneously. If an immediate resolution is not possible, seeds of possibilities are planted that are usable in similar creations. Choices that exemplify the higher good of all concerned can be continual choices because of the energetics that you have positioned in the consciousness of other humans. It is always the duty of those who have awakened to find that individual expression that can serve the greater good. If your role is to be an active participant, take care to do so from that beautiful enlightened heart of yours. If your role is to take a more silent role, then do so in the silence of your private time. Transmit the love and infinite energetic possibilities through your vision. By cultivating the presence of love, compassion, and harmony within yourself, you can silently transmit it even when you are in public places. When you can say hello with a smile or bid someone to have a beautiful day, this could change how they can experience their day in a more harmonious, joyful way. Just because you choose the silence does not mean that you are passive and non-participating in life. You are playing a part in the massive transformational process that is occurring. Honor your individuality. Develop your conscious awareness. Cultivate the element of Love in your creations. Each one is unique and special. You all have a piece to contribute as humanity and the Earth transition into the 5th dimension. On Sunday, Nov. 11, 2018, Master Kuthumi, as Chohan of the 2nd Ray of Love and Wisdom discussed the importance of this momentous event. Now is the time for all of us to receive and use what we have co-created in the past seven-year cycle since anchoring the Christed Matrix on Earth in 11-11-11. If you missed this celebration and harvest of Light energies, below is a recording of the event. Recording: Click Here to download the audio file or listen here. Earth was created billions of years ago by great Creator Beings of Light through the interface of Source energy. Earth was created as a physical Christed Planet that continually transmitted magnificent Source Light in a 12th-dimensional sequence. 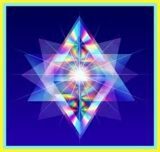 The Elohim, who were the Creator Beings, were provided with a specific blueprint called a Christed Matrix. This Matrix was placed in the center of Earth so that Earth could continually resonate with the Christed energetics of the Christed Matrix. Earth through the Elemental Community continually created a physical environment that completely represented Christ Consciousness. Three light templates were retrieved from various time locks in the past three years. They significantly contributed to your ability to step into the consciousness of the 5th dimension on all levels of your being. These Light templates are so massive that they were retrieved in increments throughout a three year period. Every human on Earth benefits from these Light Templates at the level that they can receive and integrate them. There is more yet to come. We will be on sabbatical for the first three months of 2019. The next Ask the Archangels teleconference call will be April 2. Please join us when our free teleconference Ask the Archangels resumes 8 p.m. CST Tuesday, April 2. Join us the first Tuesday of each month.